Another solid week of training in the books this past week. It started off on Monday and Tuesday being pretty normal 10 + 4 mile double days. I was definitely still feeling pretty tired on both days from my big 26 mile long run the past Sunday. Coach Ben asked if I felt recovered at drills and strides Tuesday afternoon, and I simply said “we’ll find out for sure tomorrow morning” my way of saying not really, but being optimistic by the next morning that would change. Sure enough that’s what happened. I woke up feeling pretty refreshed, and excited to take on 10 by 1k. In past marathon buildups we’ve done 15-20 of these, but usually quite a bit slower or down in Camp Verde which is a much lower altitude. The goal for Wednesday morning’s workout was to average 2:57 with just one minute of recovery. We went earlier than usual to try and beat the wind that was in the forecast, but as we were driving into Doney Park we could see the trees and flags moving quite a bit; the wind would make this workout even tougher. 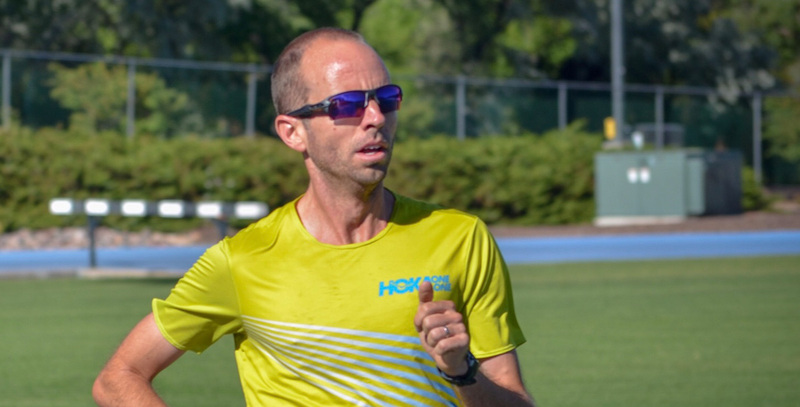 The way Coach Ben laid out the 1k, we would run 600 of the odd reps into the pretty strong head wind; these would for sure be the harder and slower reps. The even reps we would have that wind to our back for the first 600; then make a right turn and have to battle a cross wind for the last 400. Futsum was doing 8 by 1k, and would hop in after I did my first two; while Ben Bruce would be doing 10 by 800 and be able to share the lead for the first 800 of each of my 1ks. 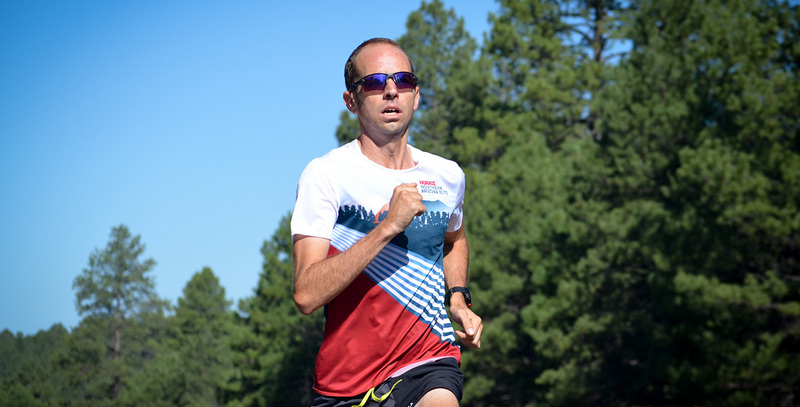 I worked on trusting my effort (and Ben’s pacing) and not worry about checking my splits. I felt like this was especially helpful with this workout, fighting the wind the whole time. I stayed pretty consistent throughout, running between 2:59 and 3:01 for a 3:00 average on the odd reps (more headwind) and between 2:58 and 2:54 on the even reps for about a 2:57 average on those. I felt in control for most of the workout, but was happy to finish at number 10 as my breathing was getting more labored, and my calves began to get very tight the last 2 reps. It was great to have Ben and Futsum’s company out there, especially trading turns fighting the wind! I finished the day with an easy 4 mile second run, and had Annika massage my calves a lot to try and loosen them up. Thursday and Friday were two more 10 + 4 mile double days. I thought I was feeling a little better those days than I did on Monday and Tuesday; and took that as a good omen for a good workout Saturday morning. That was scheduled to be one of the harder, and certainly the longest workout I’ve ever done: a 18 mile steady state on Lake Mary. I’ve always used these steady states as the best way to measure what kind of shape I’m in for my upcoming marathon. In my previous buildups I’ve stuck to between 12-16 mile steady states; usually doing 2 or 3 of them within 2-8 weeks before the race. 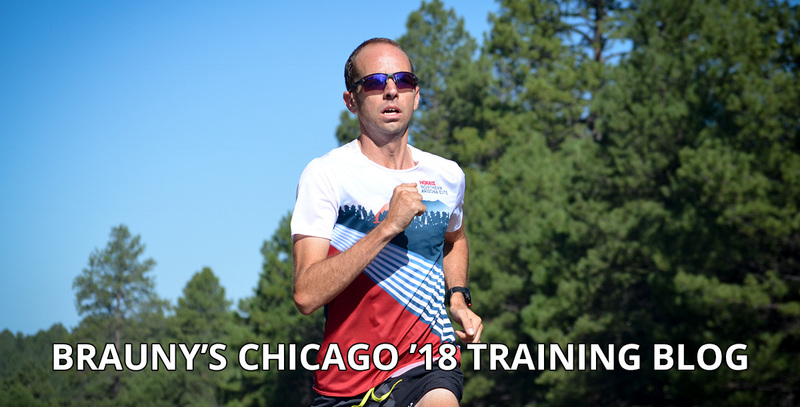 In this segment, this would be the only one I’d do in training (we used the US 20k championships as a substitute for one that I would have done.) Because this one would be 2 miles further than I’ve ever gone before, we decided to start a little slower than we usually do up here, and try to work our way to that pace, and then a little faster for the last few miles. I would have the company of Ben Bruce and Futsum again for parts of this workout, and Chris Thompson planned to do all 18 with me. With their company, and me wanting to continue to focus on my own effort rather than splits, I decided I wouldn’t look at the quarter mile marks, just settle into a comfortable rhythm and enjoy the ride. The first 2 miles were a little slower than I had anticipated: 5:26 and 5:25. But I wanted to stick to my focus on effort rather than splits, and thought how it would be pretty cool if we could get 1 second faster on each mile that would get me to a 5:08 last mile, and 5:17 average overall. Unfortunately, that didn’t happen. We basically wound up being stuck at that 5:25 average for quite a while. I wasn’t feeling great, legs felt pretty flat, but I knew 18 miles was plenty of time for things to change; and this was good practice of giving a good effort regardless of not feeling great. I wasn’t the only one who wasn’t feeling great as Ben stopped well before he was planning to, and Futsum also stopped a couple miles short of what he was scheduled to do. 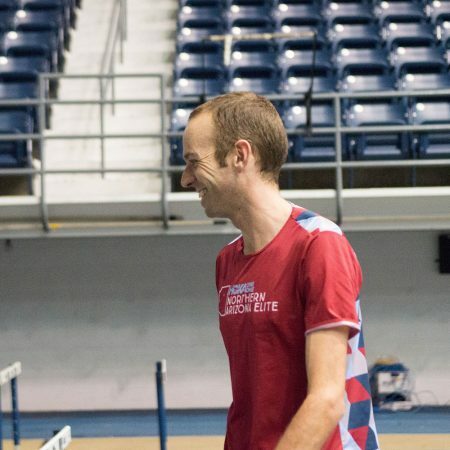 Afterwards when Coach Ben and I talked, we thought that since all of us hadn’t felt great that maybe we had gone a little too fast in the 10 by 1k workout o Wednesday. We thought that we had adjusted enough for the wind that day, but maybe not quite enough. After 10-11 miles of being pretty stuck in that 5:25 average pace, we finally started to get going a little faster, something we wanted to do much earlier in the workout. I don’t recall all the splits exactly, but after a 5:22 and 5:20; we started getting into the 5:1x, with as low as 5:12 from mile 15 to 16. From 13 onward, I had to focus on just getting through one mile at a time. My legs were feeling so flat that all those miles under 5:20 felt very hard. When I finally passed 16 miles, I got a little excited to know that I was now going into “uncharted territory” compared to my previous training. I felt as though things were finally not getting any harder anymore, it was almost just boring to be still going. That feeling didn’t last much longer as we went up a hill around 16.5 miles, and I told myself that this would be my last mile of the workout. I gutted out a 5:20 for that mile before stopping as Thommo went on to finish the 18. I have to thank him and Futsum for helping me along through those tough miles, there were moments that I could sense that they were strong enough to pick up the pace and drop me, but they always backed off before they created too much separation, and running with them helped me get as far as I did. In the end, I covered 17 miles in an average of 5:23 pace. It wasn’t the exact result we were looking for in this workout, but I felt as though the effort I put forth was appropriate for what we planned, and that I would certainly be getting a big boost of fitness from this. I finished the week with a nice easy 8 mile run Sunday morning, and no double to give me 102 miles for this week. It was disappointing for a little while to not have had as fast of a workout Saturday that I wanted, but I know from experience and from watching friends, teammates, and competitors; that the effort throughout a training block can be more important than the splits. 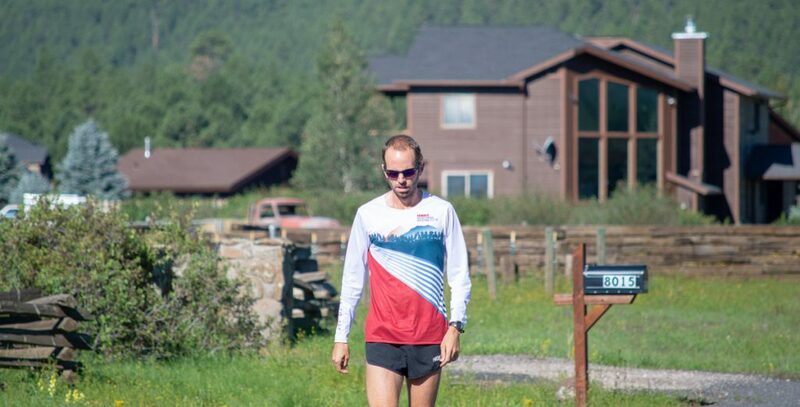 I’ve tried to have that subtle change of mindset this training block: I want to focus more on the effort of my workouts, and eventually my race day on Chicago; and let the splits/result be whatever they’re going to be. If I can have good hard efforts on workout days, and give a huge effort on the morning of October 7th, then I can be proud of whatever the clock says. 3 more weeks!